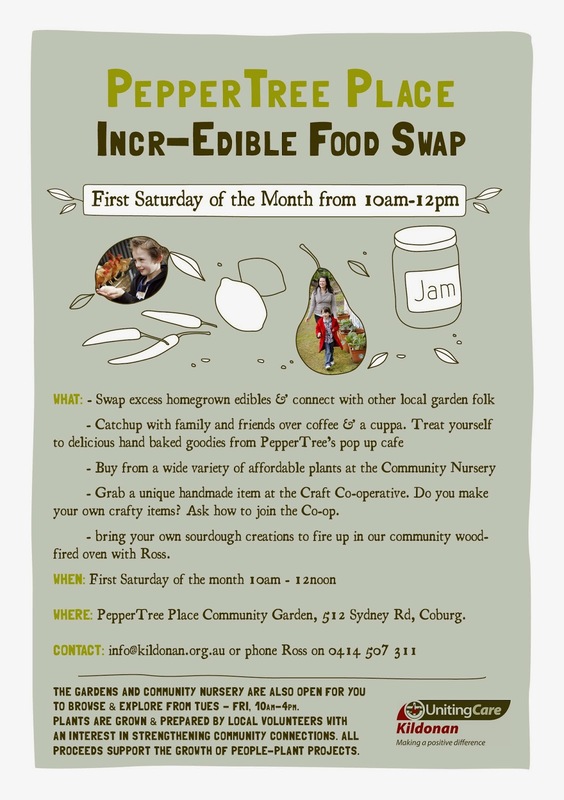 Once again we welcome you to our food swap on this Saturday, 10am-12pm, where you can meet and greet other locals, food swappers and get stuff for free!! 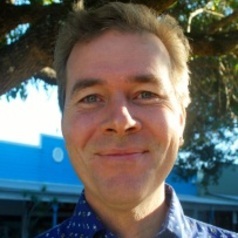 You'll be pleasantly surprised most months to find not only food stuffs are being swapped. 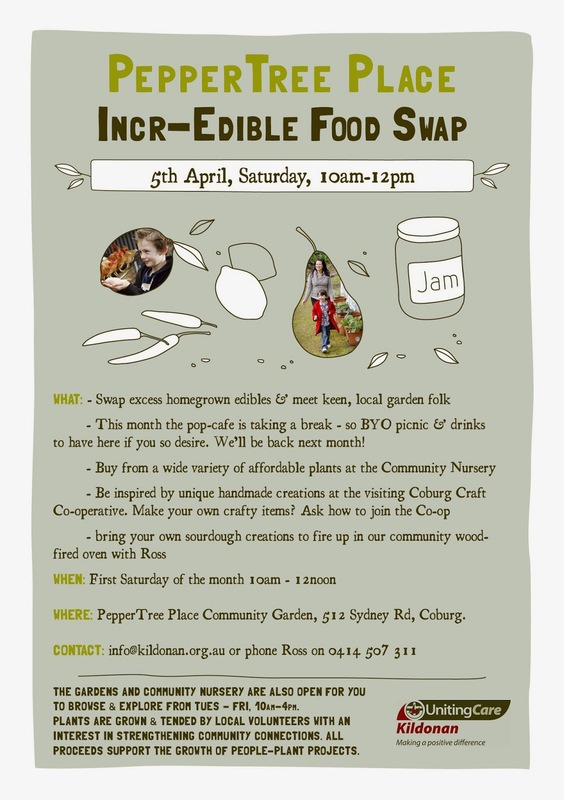 There might be recipes to accompany unusual edible ingredients on the table; seedlings, cut flowers, preserves and pickles made from swapped fruit and vegies to local stories and garden wisdom being shared amongst the crowd. Ross will have the wood fired oven going to bake off any doughy goods you might like to cook in there! The Popup Cafe will be serving hand baked treats to accompany your morning cuppa. Browse the Community Nursery and snap up some affordable plants to plant in your garden - great time of year right now to transplant and get some plants going while the soil retains some summer warmth and before the cold slows everything down. The Craft Coop is for anyone interested in selling their own (and others) handmade products regularly each month. A stall is set up each month and attended by a rotation of craft volunteers to promote their wares - if you're interested in joining this please come down and check it out! We would love to see more people contribute to this local enterprise. PepperTree is your Community Hub that provides a family friendly, inclusive space for you to strengthen your ties to a vibrant, creative, sustainable and earth friendly community. 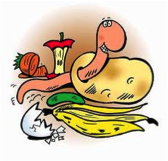 We have a composting hub here so if you can't manage your organic scraps at home - bring them here to feed our worms and composting systems on site! We have volunteers that assist with many aspects of day to day management and maintenance of PepperTree Place so if this sounds like your cup of tea - and we do punctuate the day with lots of them, then come and see what PepperTree is all about and ask how you too can become a volunteer here. 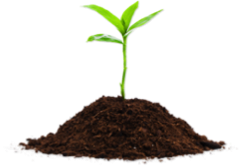 No space for your own compost system at home? Then use the community garden compost hub. 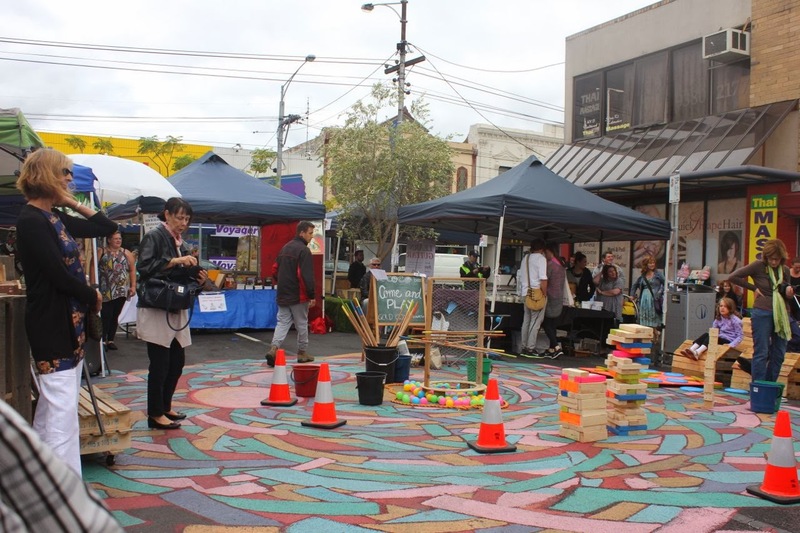 Can you spare 3 mins to help make the Wilson Ave Brunswick pop up park permanent? We want more food growing in Moreland and more people growing it, right? One way to help is to make the sight of food growing part of our day-to-day lives. Make it mainstream, commonplace. If getting food growing in public is helpful in raising awareness then getting it growing in the heart of Moreland in a public space with heavy pedestrian traffic would be VERY VERY helpful. Help make this happen by filling out an online survey that takes about 3 minutes. You might have seen that the pop up park in Wilson Ave Brunswick (Brunswick Station) for the last couple of months. Last week we shared news of the North Nomadic Project which held a community event in the pop up park last Friday. Council wants your input re: closing the road an establishing this space permanently.